If you want to buy a present for your friend who loves photography, you’ve come to the right place. In this era, when almost everyone has their own professional camera and claim to be a photographer, these items can come in really handy. With these 15 Innovative Gadgets for Photography Lovers, you can enhance your photographic abilities and also satisfy the photography geek inside you. Check out number 10, it’s the editor’s favorite. Carrying a tripod everywhere you go can be a little tedious. This bottle cap tripod offers portability and more reasons to stay hydrated. This balancing cube for photographers can help you a lot if you are conscious of your photographs being perfectly level. Just align the bubbles and you're good to go. Simply plug this portable pinhole lens to your SLR camera and enjoy a new domain of photography. This inflatable studio takes only three minutes to blow to its full farm and can be used anywhere you want. It comes in two models that you can pick from. This tiny camera is a photographic gem and comes with three different lenses. It's a small version of your DSLR. It has all the buttons and switches like the bigger versions. This USB drive looks exactly like a DSLR. Get your hands on one of these if you want to carry your data in a creative way. Experienced photographers turned this camera into a light source. So now instead of taking in light, it has become the light provider. These lens bracelets are designed especially for camera-obsessed photogs. You can get a replica of your favorite lens's focusing ring. This mug is designed to replicate a camera lens. You can get it custom made according to your favorite lens. 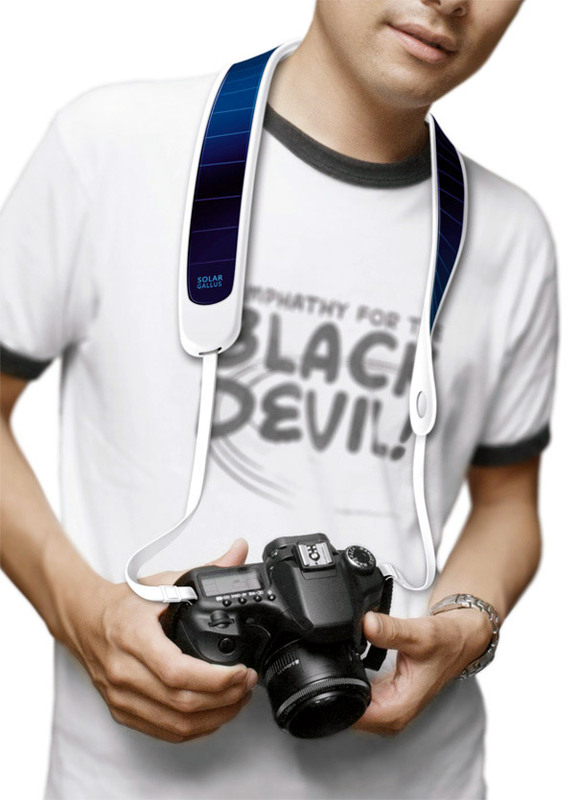 This awesome solar-powered camera strap is still in concept stage. The designer Weng Jie's main goal is to end all battery problems that photographers face outdoors. This specially designed lens allows you to shoot in 360. This means that you can shoot left, right, up and down according to your requirement. Enhance the performance of your smartphone's camera by attaching this external lens to it. You can widen the angle or increase the focus abilities. It attached itself through a magnetic ring. Every time you're in the kitchen, these Photoshop fridge magnets will remind you of your passion for photography. Live the best of your memories while sharing a cup of coffee with your friends and family. You can go through all your favorite photographs on this giant album. The idea was discovered by Craig Arnold, a famous photographer when he broke his camera lens. He improvised and designed a unique type of jewelry out of it.